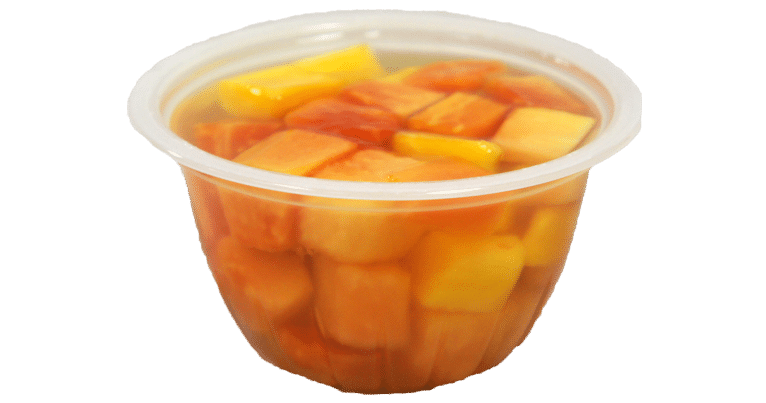 Papaya in lightly sweetened coconut water is a pleasing blend of red and yellow papaya packaged in plastic bowls as easy open single serve units. Four units are packaged per sleeve. Red Papaya, Yellow Papaya, Water, Sugar, Coconut Water, Natural Coconut Flavor, Ascorbic Acid (Vitamin C) to protect color, Citric Acid.